This is a stunning SPODE limited edition of The "Age of Romance - The Early Years". "PERSIA" - The first liner with an iron hull. Described as the " Largest steamer in the world" at its launch in 1858. 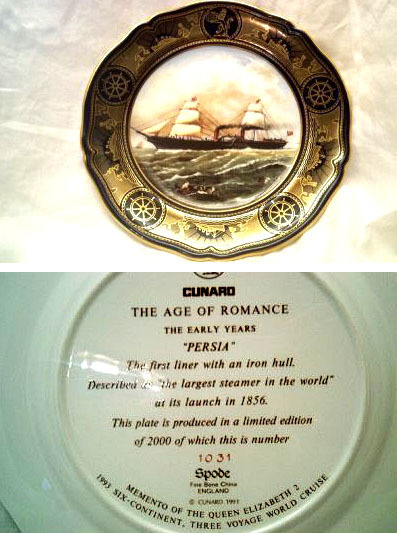 Plate was produced in a limited edition of 2000. This plate was a memento of the QUEEN ELIZABETH 2 1993 six-continent, three voyage cruise.